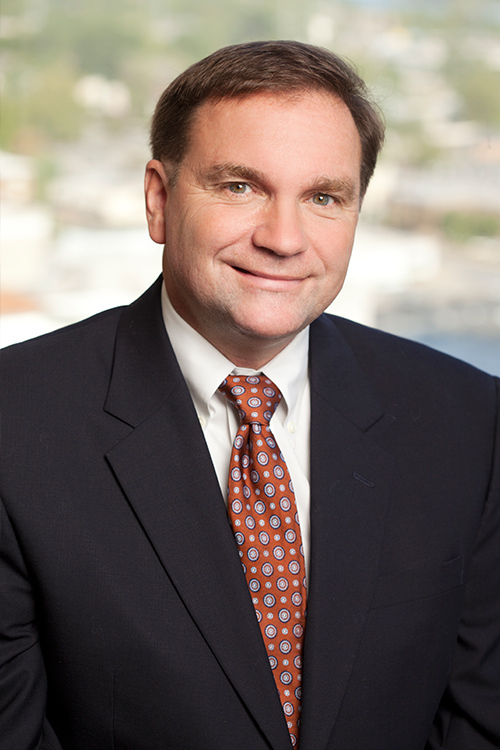 Walter Wright has more than 30 years of experience in environmental, energy (petroleum marketing), and water law. His expertise includes counseling clients on issues involving environmental permits, compliance strategies, enforcement defense, property redevelopment issues, environmental impact statements, and procurement/management of water rights. He routinely advises developers, lenders, petroleum marketers, and others about effective strategies for structuring real estate and corporate transactions to address environmental financial risks. A unique part of his practice has been drafting and the negotiation of a variety of specialized agreements involving the sale or consignment of motor fuels along with the ancillary agreements associated with the upstream segment of the petroleum industry. Since 1989, he has served as an adjunct professor of Environmental Law and Hazardous Substances Law at the University of Arkansas at Little Rock, William H. Bowen School of Law. He is the author of the Arkansas Environmental, Energy and Water Law blog. Represents industrial and commercial companies at various state and federal Superfund sites. Advises biofuel and renewable energy facilities in regards to various issues. Manages soil and/or groundwater contamination cases including retention and oversight of environmental consultants. Serves as General Counsel and provides legislative representation to the Arkansas Oil Marketers Association, Arkansas Recyclers Association (scrap facilities) and Arkansas Manufactured Housing Association. Advises clients in regards to Clean Water Act wetland and 404 issues including delineation and permit matters. Defends companies served with administrative enforcement actions including demands for investigation/remediation. Provides advice and advocacy regarding ensuring the marketability of recyclables such as steel slag, cement kiln dust, fly ash, scrap and other materials. Assists clients in negotiating environmental agency voluntary and involuntary orders related to site investigations and remediation conducted under state and federal law. Counsels companies on environmental audit issues including issues involving disclosure and confidentiality issues. Advises companies considering use of Arkansas and federal voluntary or self-disclosure programs. Negotiates and drafts various petroleum marketing agreements involving sale or consignment of petroleum products. Negotiates and drafts agreements allocating environmental liability issues in industries such as food processing, petroleum, natural gas, aviation, utility, wood preserving, convenience store, printing, forest product, solid waste management, chemical processing, hazardous waste management and others. Advises clients regarding state no-discharge and land application water permits. Negotiates and assists in the redevelopment of brownfield properties (including Arkansas Elective Site Cleanup agreements). Advises POTWs regarding NPDES permit and pre-treatment requirements. Serves clients in drafting, lobbying and negotiation of legislation such as the creation of the Arkansas Petroleum Storage Tank Trust Fund and Arkansas Recycling Tax Credit. Drafting, lobbying and negotiation of Arkansas legislative amendments removing state barriers to the interstate movement of solid waste. Represents and advises various lenders on identification, quantification and/or resolution of potential environmental issues associated with collateral (including the use of environmental insurance). Addresses National Environmental Policy Act and Endangered Species Act issues associated with various public and private development/resource projects. Provides advice to public and private entities in regard to common law water rights and/or Arkansas Natural Resources Commission withdrawal permits. Advises clients regarding application of Arkansas Recycling Tax Credit provisions to various projects/activities. Advises various owners and operators of aboveground and underground storage tanks in regards to issues associated with Arkansas Petroleum Storage Tank Trust Fund claims. Advises purchasers, sellers, lessors, lessees, and lenders of commercial, industrial and office structures regarding issues identified in transactional environmental assessments such as mold, asbestos, radon, lead-based paint, storage tanks, and vapor intrusion. Provides advice related to competition and pricing issues involving the Petroleum Marketing Practices Act and antitrust laws associated with the marketing of petroleum products. Prepares and submits comments on behalf of various facilities and industries in regards to environmental rulemakings and permits. Counsels facilities on risk-based closures and remediation. Assists in the transfer of state and federal permits associated with commercial transactions. Counsels public and private facilities in regards to Clean Water Act, National Pollution Discharge Elimination System, associated with wastewater and stormwater discharges permitting issues. Negotiates and advises regarding brownfield and Elective Site Cleanup Agreements. Provides counsel and advice in regards to various types of Clean Air Act issues such as Prevention of Significant Deterioration, State Implementation Plan, National Emission Standard for Hazardous Air Pollutant, Title V and General Permits. Advises shippers and transporters regarding the application and interpretation of Hazardous Materials Transportation Act regulations. Advises companies on reporting, confidentiality and related issues associated with environmental audits. Advises regarding Arkansas open cut and quarry permitting issues. In 2011-2012, served as adjunct professor of Advanced Environmental Law at the University of Arkansas School of Law. Best Lawyers® 2019: Environmental Law "Lawyer of the Year"
Best Lawyers® 2014: Environmental Law "Lawyer of the Year"